Postmodernism has become an Orwellian nightmare causing difficulty for many Christians to respond doctrinally, philosophically, or practically. As a result, Christians either live in fear, intimidation, or unresponsiveness to Postmodern thugs. What most Christians fail to realize is that we have nothing to fear if we would respond in faithfulness, both doctrinally and practically, to the Word of God. There is also a flip side—some are responding with their own intimidating behavior seeking to diminish our enemies through browbeating. Needless to say it is not working unless your whole objective is to get into fisticuffs. One of our objectives is to stop the mouths of those who subvert whole houses (Titus 1:11). How are these “unruly and vain talkers and deceivers” to be silenced? Well, Paul told Titus the Church must have godly, qualified, and ordained pastors who hold fast the faithful word in order to be able by sound doctrine to exhort and convince those who contradict the Word (Titus 1:9). The main part of our tactical assault is philosophical and not physical. The Church does not possess the power of the sword and if we are going to fulfill our responsibilities we must re-engage with the battle for the mind. Christianity has the ability to thrive in any system because it is the most comprehensive philosophy on the planet. It is institutional, educational, and economic. Institutionally, it is religious, political, and familial; educationally it is theoretic, empirical, and epistemological; economically it is methodological and behavioral. Christianity is complex because it engages every discipline known to man. This is the reason why it has been able to defeat Aristotelianism, Platonism, Neoplatonism, Academic Skepticism, Stoicism, Epicureanism, Paganism, and religious systems such as Islam, Judaism, Gnosticism, and many others throughout history. 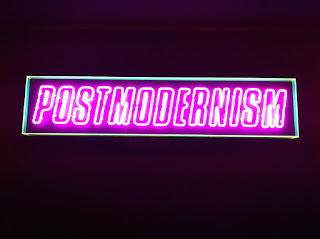 In our era, the battle has been against Humanism (both secular and religious), Secularism, Modernism, Marxism, and now with the new kid on the block—Postmodernism. We believe these too will eventually be defeated as Paul assures us in Colossians 2:15. Jesus Christ has “spoiled,” in the King James Version, and “disarmed,” in the English Standard Version, the principalities and powers of this world-system. Paul emphatically claims that Christ has triumphed over them. Modern Christians need to stop falling for the “Yea hath God said” trick of Satan and receive the Scriptures as the Word of God. Holy Writ declares that this battle is not physical but spiritual. Sure, we do walk in the flesh and this war does manifest itself in worldly dimensions, but our warfare is not after the flesh but according to the Spirit. The point Paul is making in 2 Corinthians 10 is that our warfare is far more powerful than swords or even modern weaponry. Our spiritual weapons are “mighty through God to the pulling down of strong holds” (KJV). They are effective because they reach to the very root of our enemies worldview. Because of this divine power, “we destroy arguments and every lofty opinion raised against the knowledge of God and take every thought captive to obey Christ” (ESV). In other words, we disarm our enemies by destroying their philosophies. However, there is a hitch: we are only able to defend ourselves against the disobedient when our obedience to Christ is complete. This has been the Achilles’ heel for the 20th and 21st Century generations of Christendom. Yet, even in our weakened state we have defeated Marxism, which is the arch nemesis of Christianity, in many battles up to this point. This royal “whoppin” has forced Marxism to regroup and remake itself, which is where Postmodernism comes into the picture. Although all the Enlightenment philosophies we have battled from the 16th Century to today are antichrist, they have been more of a benign enemy because they must steal from our worldview in order to exist. Before the Enlightenment, world history was mostly defined as a battle between the gods—monotheistic, polytheistic, and pantheistic religions. Most Enlightenment philosophies, or better yet the proponents of Enlightenment philosophies, had to steal various principles from religious philosophies. They did this to keep the world in some kind of functionality. The problem, beyond the obvious opposition to truth, is that the Enlightenment philosophies opened Pandora’s Box. The history of the world up until that point was the record of the various religions in conflict, not just religiously but politically, but the Enlightenment promised the end of religious wars by destroying religion. Not only have they failed to deliver, but have caused worse atrocities than before. The Enlightenment is defined by skepticism, even when they dress themselves up as religious. One of the big problems is that the world cannot function in this dimension. So, they had to adopt various doctrines of the world’s religions and in the West it was mostly the Judeo-Christian ideals that were hijacked. Obviously, we believe all religions and philosophies hijack portions of the Christian worldview, not only for their survival but also for stability in society. So, please understand I am writing in a generalized way. The principles of skepticism, and the atheistic thought that proceeds from skepticism, brought about Darwinism, which then produced Marxism. The amazing thing is that these philosophies are always joined at the hip in history but it was the ideals of the Enlightenment that gave birth to Marxism. It was the Marxist plague upon the world that caused the Enlightenment philosophies to despise their own child. However, as much as the 100 million casualties of Marxism brought regret to the enlightened humanities, it pales in comparison to the fear being produced by their Postmodern grand-child. This has caused the old fogies of the Enlightenment to long for the good old days when they just borrowed from our worldview while discounting their own inconsistencies. There is good reason why they fear their monstrous grand-child. 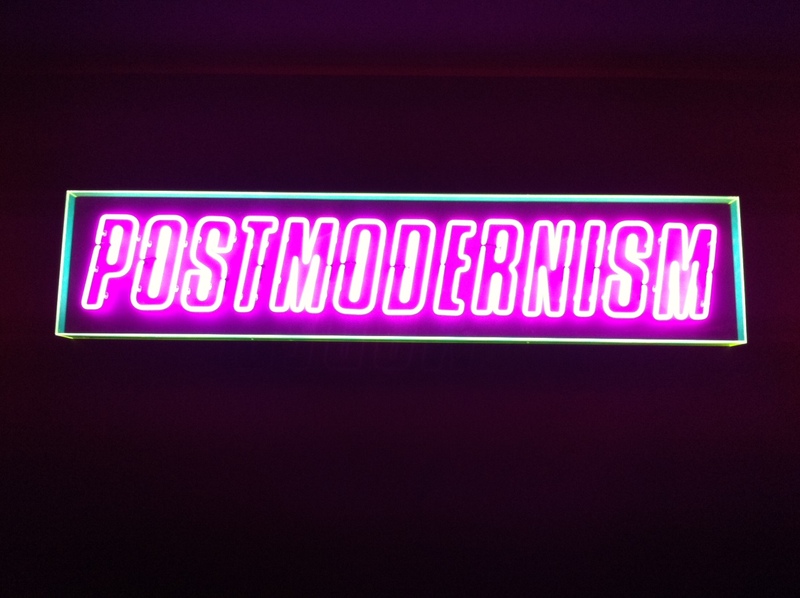 If Marxism could nearly destroy mankind, just think of the destruction Postmodernism poses. Marxism promised a utopia if the Church, State, and family institutions were destroyed; Postmodernism promises the same destruction without the utopia, unless one considers the destruction of mankind utopian, which they do. There is no higher realm of evolution of mankind for the Postmodern man because all is vanity. The fear that is being expressed by Humanists, Modernists, and Secularists is a good thing even if it is just self-preservation. By the way, the Postmodernists will not be impressed by the cowardly Enlightenment sellouts. Postmodernists will denounce them as closet oppressors just like the rest of us. The reason it is a good thing is because it provides us with another opportunity to reveal the failure of their worldviews. Postmodernism is just the natural end of the Enlightenment, which is part of the reason for their fear. Postmodernism is nihilistic and this invokes fear in those who would like to enjoy life in some degree of meaning and purpose. Postmodernism removes all the inconsistencies skeptics are willing to live with and gets down to the reality of their philosophies. The reason Postmodernism is nihilistic is because they understand there is no neutrality. Although this is true, it is a very dangerous doctrine for those who have no standard and purpose for the world. At least the false religions of this world have some kind of standard and purpose even if it is false and inconsistent. Postmodernists possess neither a standard or a purpose because according to their “enlightened” worldview there is no God, no hereafter, and we are just matter in motion. The cardinal doctrine of Postmodernism is that everything is meaningless and as a result, hopeless. Therefore, they do not believe in anything—no genders, no social construct, no truth, no logic, no nothing. Destruction is the only thing they believe in, which is why they want to destroy marriage, the family, the state, the Church, and every institution or ideal known to man. This is why they sing “we don’t need no water let the #$@&%*! burn.” This is where defiance against truth and hatred of God leads. False religions bring their share of pain upon the world, but there is at least a distorted presence of eternity, judgement, and accountability that keeps mankind from absolute nihilism. False religions and Enlightenment philosophies steal enough of the Christian worldview to maintain some sense of order because they are seeking happiness. Health, wealth, and prosperity make most people happy as long as they can at least delude themselves into some kind of purpose. Without any sense of purpose it all falls apart and devolves into an anarchist nightmare. For Postmodernists, happiness is only found in revenging their emptiness and hopelessness in annihilation. This is the point where Christians must take note. The 20th and 21st Century has brought about a strange time where we, professing Christians, are stealing various doctrines, principles, and applications from other false worldviews. In some cases it has created cults, but even in the more benign situations there has been a weakening of Western Christianity as a result. My concern is that we have seen Christians adopt various points and degrees of Humanism, Modernism, Secularism, and now even from Postmodernism. Either of these philosophies destroys the integrity of Christianity to one degree or another, but Postmodernism spells the defeat of Christianity in the West. The compromises with early Enlightenment doctrines could always be reformed, but there is no return if you accept a ride from Postmodernism. If you thought despondency was a plague with Modernism, you have not seen anything yet if we accept the nihilism of Postmodernism. For this very reason Islam is making inroads into the West. Pessimism and skepticism cannot build civilizations as we have seen over the last 200 years of European history and 100 years of American history. Still yet, nothing will compare to the anarchism and nihilism that has engulfed Europe and is now rapidly rising in America. 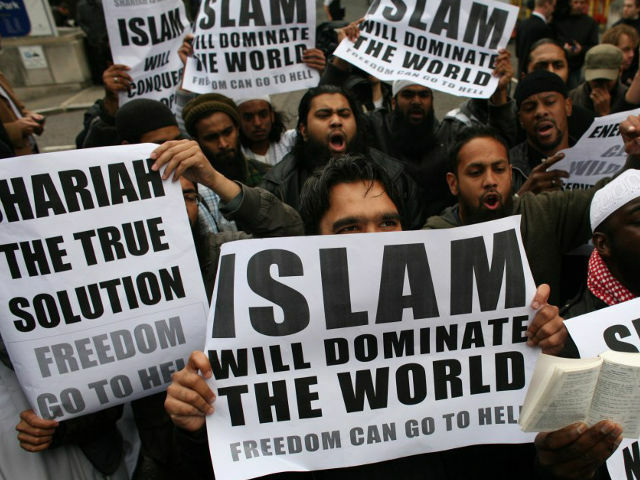 The sad fact is that Islam is not actually winning the war of ideals or even the war of military might. They are simply walking in and acquiring by default the things Western Civilization no longer values. The only thing that remains to be seen is whether or not Postmodernism destroys Western Civilization to the point there is nothing left for Islam to pillage. We must remember that Islam is not a civilization builder either—it is a pillager. 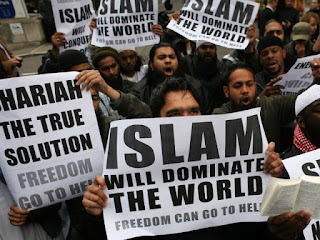 Before Islam became a world player once again, the West remembered that Islam believes in salvation by the sword. 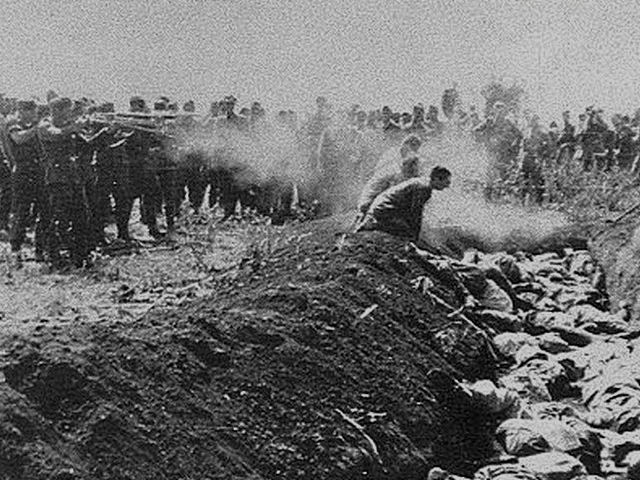 For some strange reason this brutal reality of Islam as defined in the Quran and manifested throughout history is not only being ignored by Marxist Postmoderns, but conservative Christians alike. Islam’s pillage philosophy runs all the way through their system despite the modern apologists and the propaganda of the mythological Islamic Golden Age. From socialism to genocide Islam follows a scorched earth policy, which is not advantageous for nation building. The Medieval Church, with all its problems, beat back the Islamic hordes militarily, but what caused us to leave the Middle East behind in the Dark Ages was the West’s full adoption of the Biblical Worldview in the Reformation. We formulated Biblical ideals for all of life and then built Western Civilization. The playing field is being made equal once again as Postmodernism plunges the West back into the barbaric Middle Ages. The only good news, outside of revival and reformation, is there may not be anything worth pillaging once the Postmoderns are finished. This just may be our salvation from beheadings, burnings, rapes, and whatever else the Mohammedan might inflict upon the infidels. The problem is that there is no one to save us from the fines, imprisonments, and lethal injections of the Postmoderns. Although most believe our persecution in the West will be more humane under Postmodernism, it remains to be seen. Let us not forget the bloody 20th Century of Marxism or think the graphic language being spewed upon us today means nothing. The thing that is the most frustrating, and I am sure Jeremiah felt this way too, is that salvation is right in front of us. If God’s people would humble themselves before Him, confess their sins in true repentance, and be renewed in obedience to His Word there is nothing that can defeat us. As long as we stay faithful and pure, all things will be overcome by the working of Christ’s mighty power. Christ has promised victory to His people. We should not mistake these promises as being easy. It requires blood and sacrifice, so much so we must be willing to pledge our lives, our fortunes, and our sacred honor for the advancement of the gospel. As the Western Church accepts Postmodernism, victory is not even desired because they too are conducting apology tours for Christianity’s victory over Christ’s enemies in the past. Combine this guilt with nihilistic views of the Church, family, and state and you have a recipe for enslavement and death. Defeating Postmodernism is not going to be an easy task because it is impossible to dwell alongside of each other engaged in debate. Postmoderns are not seeking truth through knowledge. Therefore, the only way we will defeat Postmodernism is the same way Christianity has defeated anarchists, libertines, and radical antinomians of the past—ecclesiastical and civil power. Postmodernism is the reprobation of Romans chapter 1 and they cannot be reasoned with. Paul wrote this to the Romans in the First Century for a reason. The Roman Empire was being given over to reprobation. Up until that time, the dominance of various Greek and Roman philosophies could be defined within verses 18-27. However, beginning in the latter part of the First Century until the Imperial Crisis, these false worldviews continued on their natural progression to destruction until Constantine reunited and revived the Roman Empire with Christianity as its basis. After Constantine, the empire declined due to constant infighting and division until Christianity was removed and replaced with the failed false philosophies of the past. This apostasy ignited a firestorm that rapidly progressed through the Romans 1 timeline of reprobation until the fall of the Roman Empire in the 5th Century. The point here is that every false worldview that refuses to acknowledge the true God will follow this decline outlined in Romans 1. Once any nation or civilization reaches the point it is “filled with all unrighteousness” (Romans 1:29-31) it is no longer self-sustaining. All restraint is removed because they are filled with unrighteousness. They know they are worthy of death and they accept it. Truly, all those who hate Wisdom love death (Proverbs 8:36). As a result, they cannot be reasoned with because they no longer believe in reason, wisdom, or truth. This is the level of decline America is presently entering. The only thing that halted this decline in the 2nd and 3rd Century was the displacement of the false philosophies by Christianity in the 4th Century. Christianity uprooted the ancient equivalents of Humanism, Secularism, Modernism, and Postmodernism religiously and civilly. What is important to understand is that this displacement of pagan philosophies was due to Christianity’s ecclesiastical advancement. This advancement came through the sweat, sacrifice, and blood of Christians, but its advancements in epistemological dominance and evangelism was due to its institutional strength. There must first be spiritual power before it translates into cultural and/or political power. And this brings us to our present crisis. The Western Church can either piggyback the Postmoderns to the end result of their prophetic nihilism or we can become a formidable foe. There is a reason why the Western Church has lost respect and influence in every realm of our society. There is a difference between being hated and lampooned verses being hated and feared. We are like the farcical Rodney Dangerfield always looking for respect, but never receiving any for obvious reasons. We will never generate respect until we get our own house in order. Remember, the promise of victory in 2 Corinthians 10 is based upon a condition. The apostle Peter informs us that judgment must begin at the house of God (1 Peter 4:17). The implications are obvious—the Church is responsible and accountable for victory or defeat in the advancement of the Gospel. American Christians continue to affirm that Jesus will build His Church and the gates of hell will not prevail against it (Matthew 16:18). However, we cannot spiritualize this into a mystical context because the Biblical context is real victory due to real obedience. 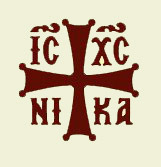 What is needed is for the saints to plant, order, and build churches that are orthodox, institutional, and powerful following the example of faithful saints throughout history. This means we must reestablish the true Church that meets the three marks of a biblical church—faithful exposition of the Word; right administration of the Sacraments; and, proper exercise of church discipline. These three things can also be expressed as Biblical Exposition, Biblical Worship, and Biblical Government. This formula only has any relevance if it is conducted by a holy people set apart unto God through the power of the Gospel. Formalism is not the answer. We can possess all the forms and yet deny the power thereof as Paul warned Timothy. We should also note that Paul warned Timothy to avoid those who deny the power of the gospel, which means we must come out from among the defeatists and be separate. Until we are willing to ecclesiastically separate ourselves and reform the Church we are wasting precious time. This is a hard message and we have seen the terrible results among those who refuse it. Although they say we will never be successful, our response is that it is our only chance of survival in the West and ultimate victory over the world. This ecclesiastical separation is not the Benedict Option rising in popularity among conservatives in the West. Reformation is not isolationism or retreat. Reformation is the act of amending or improving by changing the form and removing errors. Our message is not retreat. We are calling for the abandonment of our evil ways and a return to the old paths of Christianity. The choice is clear, we can either join the secular Evangelicals, the postmodern Emergents, the hedonist neo-Reformed, or the really strange concoction of all three. But if you do it will not end well for you personally or institutionally. The only hope we have is if you and I will return to the old paths (Jeremiah 6:16) and fight under the banner of the apostolic order, the ancient creedal, and the classical Reformed Church.